NSU - I Say Ding Dong Shop - Buy Stickers, Decals & Unique Automobilia. 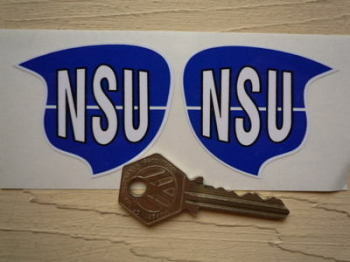 NSU Blue & White Shaped Stickers. 2.25" Pair. 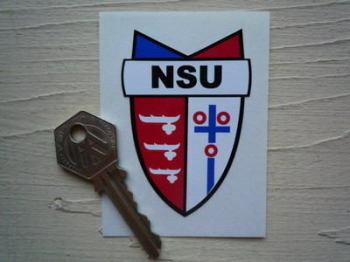 NSU Classic Square Sticker. 6" or 8". 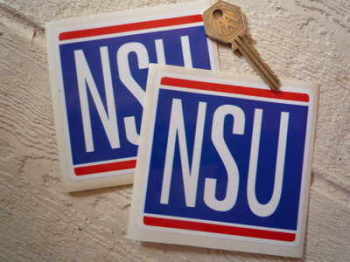 NSU Classic Square Stickers. 2" or 3.5" Pair. 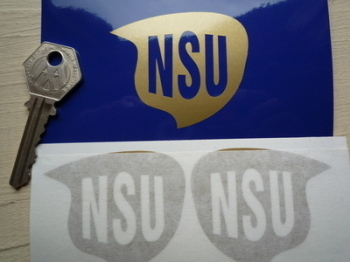 NSU Cut Vinyl Shaped Logo Stickers. 2.25" Pair. 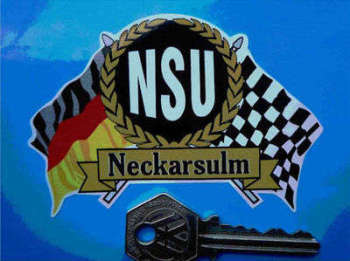 NSU Flag & Scroll Sticker. 4". 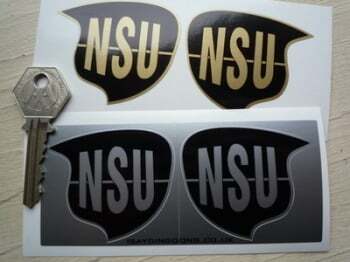 NSU Metallic Shaped Stickers. 2.25" Pair. 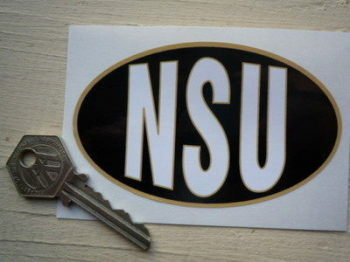 NSU Oval Style Sticker. 4". NSU Pudding Basin Helmet Cafe Racer Sticker. 3". 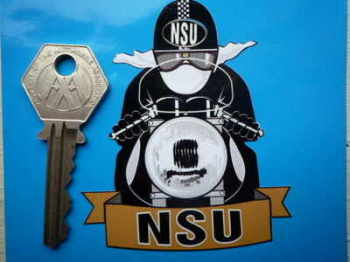 NSU Rider 2 Fingered Salute Sticker. 3.5". 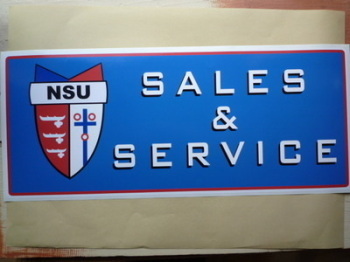 NSU Sales & Service Workshop Sticker. 23.5". NSU Saluting Rider Laser Cut Self Adhesive Bike Badge. 2.25". NSU Shaped Laser Cut Self Adhesive Bike Badges. 1" or 2" Pair. 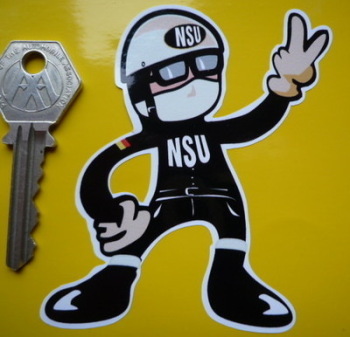 NSU Shield Style Sticker. 2".